Mobile phones have changed consumer behavior more than any technology in recent memory, perhaps since the invention of the car. By 2016, US consumers will own 257 million of the devices (according to “Mobile is The New Face of Engagement” by Forrester). Deloitte predicts that within three years “mobile influence” will be directly determining some $689 billion in US retail sales – a number 22 times bigger than anyone’s forecast of mobile e-commerce and more than twice the size of total e-commerce. We’ve been covering customer service trends on the Fonolo blog for several years now (see our 2014 list here) but I’ve recently reached a major conclusion on the topic. Based on our recent conversations with clients, and new stats (like the ones above), mobile is the “trend to end all trends”. Keep reading and see if you agree. 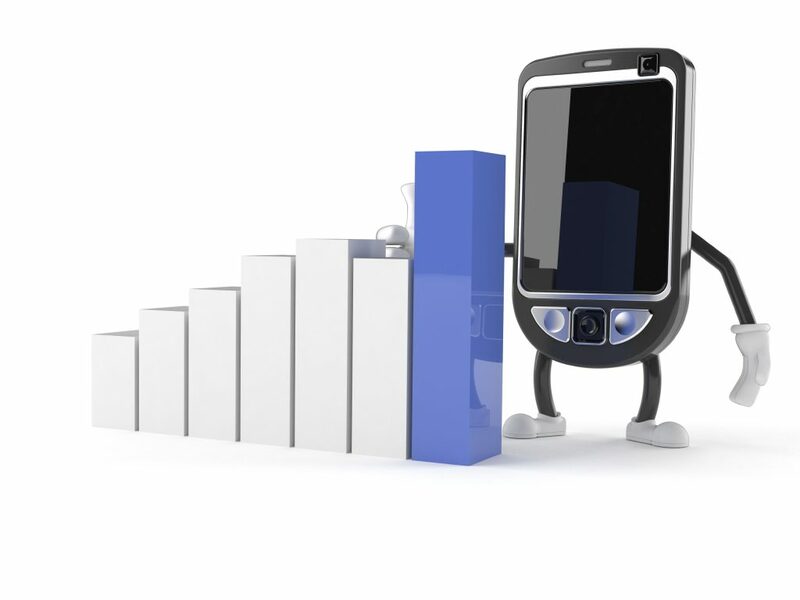 535 million consumers worldwide will make a purchase this year on a mobile device. In terms of purchasing behavior, smartphones and tablets are not just an alternative to standard ecommerce (being more convenient and easy to use than desktop) they are changing the in-store experience too. This is one reason why, ultimately, the terms omni-channel and multi-channel will be indistinguishable. The ability to do instant comparison shopping (aka “showrooming”) while in-store, is proving to be a major challenge for retailers. For more on this see: “Why Your Retail Business Needs to Deliver the Best Customer Service“. By 2015, at least 60% of the Internet users will opt for mobile customer service applications as their first option…” which is a jump from what they estimate is 10% today. In short, your customers have already made the transition. The only question is, will you adjust to their new preferences, or let your competitors do it first? One of the year’s biggest stories in customer service technology has been Amazon’s amazing new Mayday service, which allows customers one-click access to live video agent conversations. Salesforce is working on a similar “SOS” service. There are also a handful of apps that deliver on the promise of true integration with the call center (like USAA, GroupAMA, or this credit union.) Expect to see much more of this functionality in future apps. They remain nascent as more companies focus on their mobile marketing, sales and ecommerce mobility strategies. In 2014, companies will look to aligning mobile strategies, technology investments and user experiences across functional groups like marketing, customer service, ecommerce and IT. The good news is that it’s easier than ever to build an amazing mobile customer service experience! Platforms like Adobe PhoneGap or Verivo’s Akula make it simple to build advanced, full-featured mobile apps. Products like Fonolo’s Mobile Rescue let you bridge the gap between your app and your call center by adding a simple self-contained component. This video shows just how easy it was for one company to do exactly that. But mobile is not just about apps. Communicating via SMS is one of the oldest functions of mobile phones, pre-dating smartphones and app stores. This channel is making a major resurgence today. See the recent article The Unexpected New Customer Service Channel in Forbes. Why the sudden interest in a channel that’s been around for 20 years? One reason is that using the SMS channel used to mean companies had to interact with multiple carrier gateways, and also read through a lot of regulatory fine print. All of that changed with the emergence of telco API companies like Twilio, Tropo, and Plivo. Through their one-stop SMS gateways, adding this channel became a lot easier. Another reason is that regulatory changes now allow companies to “text-enable” their toll free numbers. Many of the major call center vendors have announced additions to their platform to handle SMS. (For example, Avaya recently announced Aura Collaboration Environment.) Meanwhile, third party services from Twilio, Bandwidth, HeyWire, TextGen and others are popping up to help companies make this transition. New trends in mobile strategies, technology investments and user experiences are popping up, and the importance of providing an effortless service is becoming more evident. 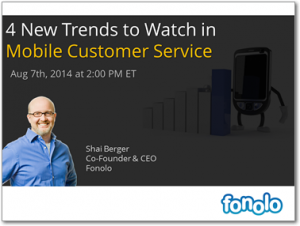 Learn the four new trends to watch in mobile customer service in this live, 1-hour webinar.